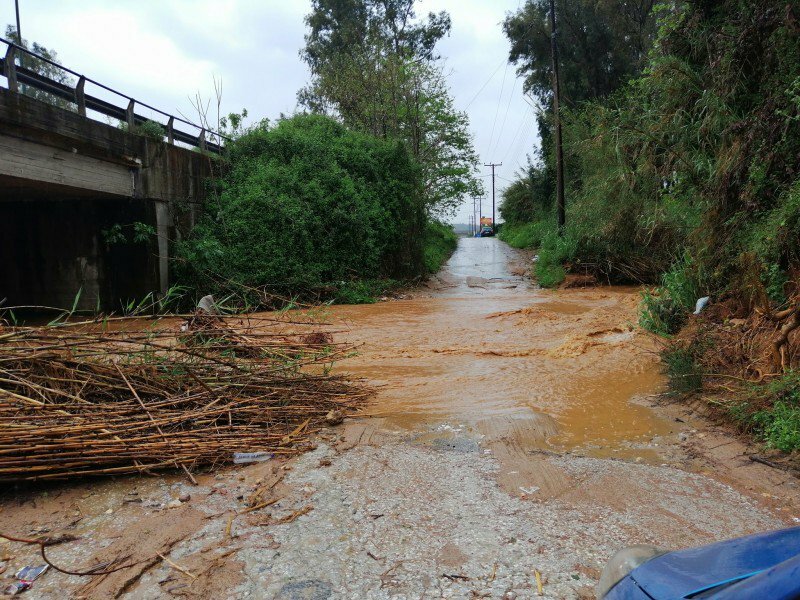 Heavy rainfalls and strong winds have been striking the island of Crete since early Friday morning, confirming the meteorologists forecast. 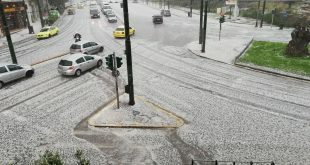 The biggest island of Greece is isolated by air and sea as winds blowing with intensity of up to 10 Beaufort have brought ferries traffic to halt, while airplanes have difficulties to land or take off. 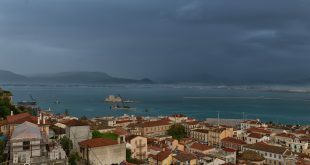 The Prefecture of Chania in the West is in the focus of the barometric low, for one more time, that opens the old wounds caused by the bad weather front in February. 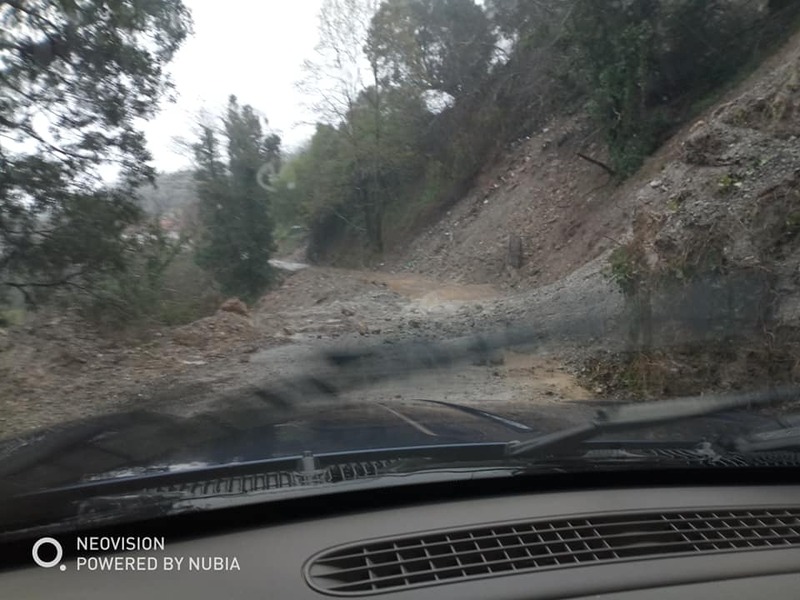 Tonnes of rainwater are coming down from the mountains, bringing rivers and streams to flood, causing landslides. 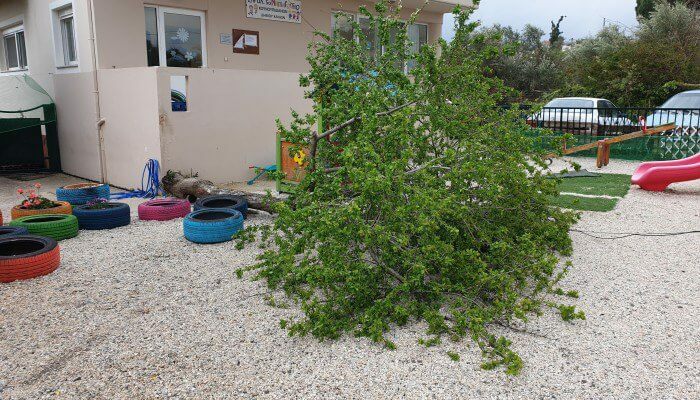 Winds brought down a tree in the yard of the kindergarten of Kounoupidania. The Fire Service has received several calls to remove trees, to pump water from flooded basements or free motorists trapped in flooded streets. 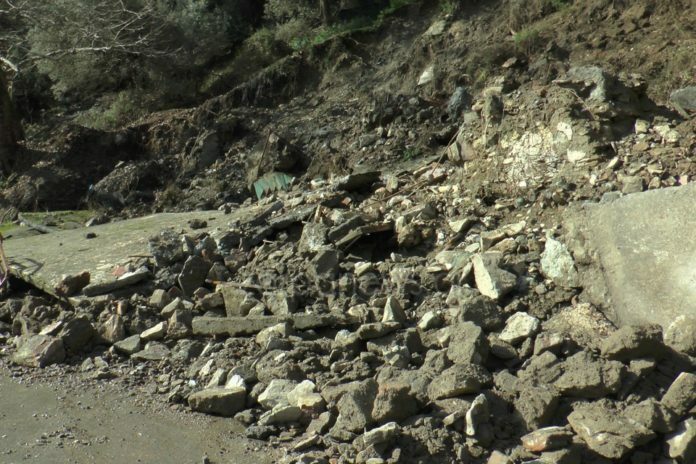 Several roads are closed to traffic due to land- and rock slides. Authorities warn motorists to avoid trying to drive over flooded streams. 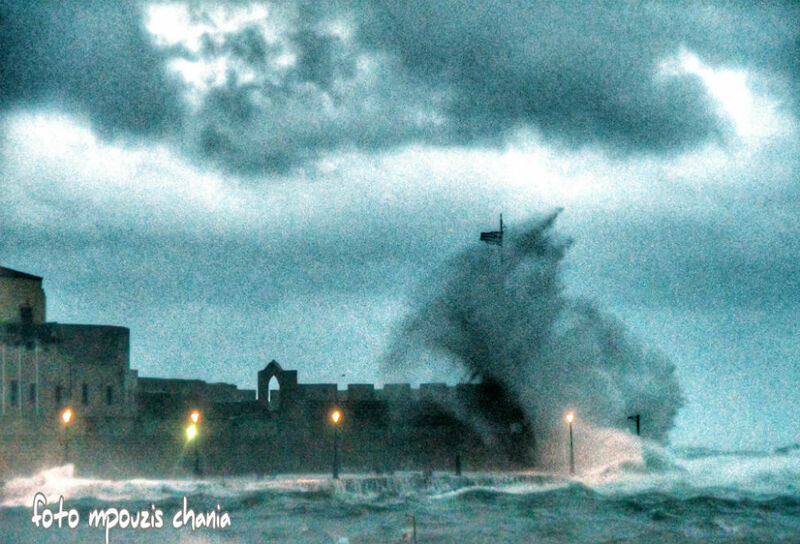 Huge waves swallow the Venetian port of Chania. Ferries have difficulties to dock at the ports of Chania and Heraklio and in some cases, they could only approach Heraklio with the assistant of tugboats. 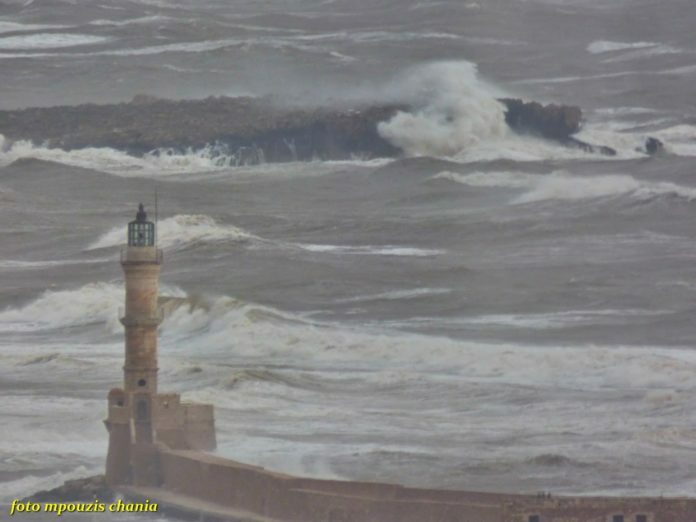 ANT1 TV reported that ferries will not be able to disembark from Chania on Friday evening. Meanwhile, the Port Authorities of Piraeus have banned ferries from leaving the port. The ban is valid until 6:00 p.m. Friday. 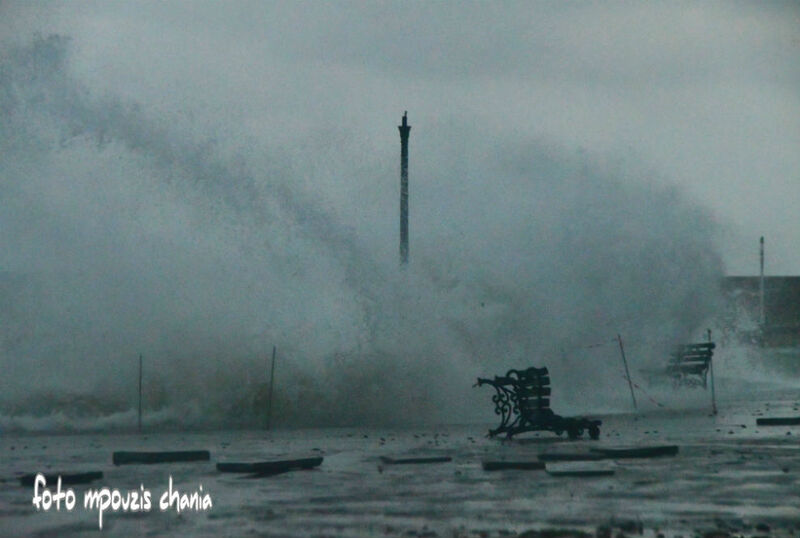 Passengers are advised to contact local port authorities and travel agents. 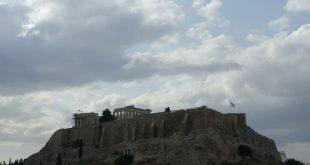 One flight did not manage to land at the airport of Heraklio and another could not take off in the morning. Several flights have been cancelled, delayed or diverted. 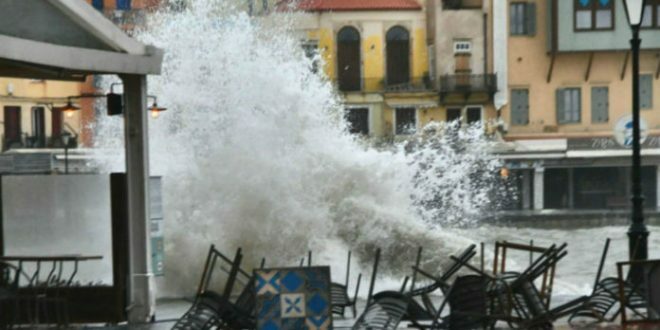 According to weather forecast, the extreme weather phenomena are to affect also the east parts of the island. 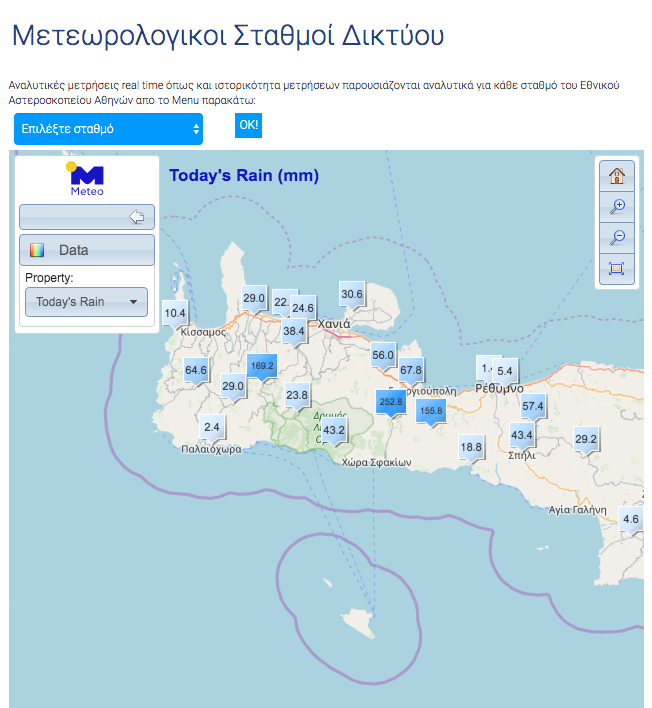 Rain volume until Friday noon via the website of the National Observatory of Athens. 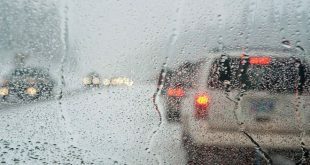 Snow is expected on the mountainous areas as of the evening. The weather phenomena striking Crete are expected to flow up as of Sunday evening.